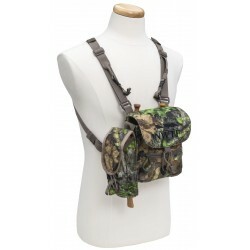 Hunting Bags & Call Pouches There are 21 products. 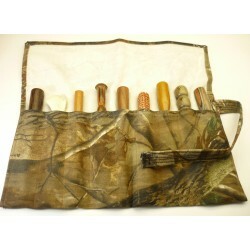 Locking drawstring secures box call chalk inside of pouch. Measures 3" x 3.5" wide. Holds half moon chalk or ½ piece of railroad chalk. 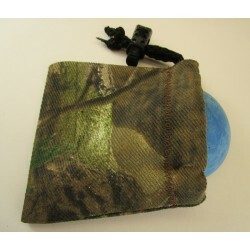 The Fleece Short Box Pouch measures 4" x 11" and comes with drawstring closure with cord lock. 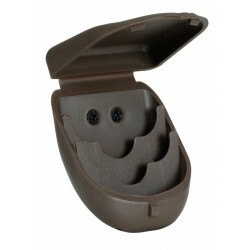 Protects your box call while hunting. Also great for after-season storage. Camo fleece. 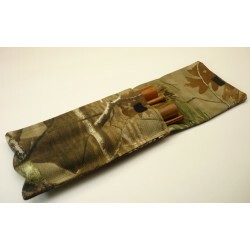 These high quality pot call pouches are made from 100% heavyweight cotton camo fabric, and will accommodate up to 3.5" friction pot calls. 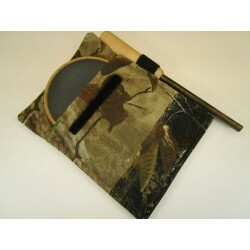 The top flap folds down and is secured with a 3" velcro strip ensuring your favorite pot calls are protected. The Nine Striker Pouch is made from 100% heavyweight cotton camo fabric and has 9 pockets that accommodate both 1-piece & 2-piece strikers. 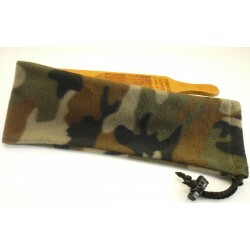 Conveniently rolls into a smaller, compact carrying case which is then secured with velcro strap. Protect & store your favorite strikers. 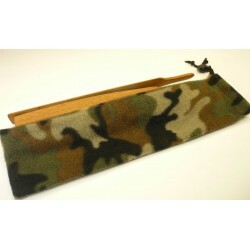 The Two Striker Pouch is made from 100% heavyweight cotton camo fabric, it has 2 pockets that accommodate both 1-piece & 2-piece strikers. Holds 2 larger strikers and 4 slim to medium strikers. 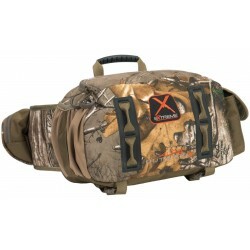 Top flap is secured with velcro closure. Protects your favorite strikers in your turkey vest. NOTHING PROTECTS LIKE LEATHER! 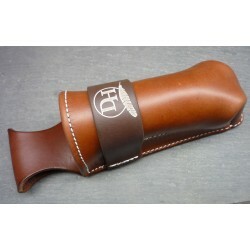 Designed for the Halloran box call, this leather holster will accommodate most medium standard size box calls. Measures 7" deep x 2½" square. 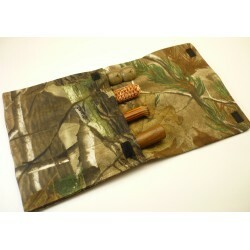 2" x 1" inside fleece strips cushion box call. 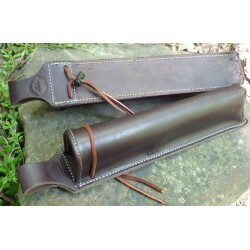 Price is for single box call holster - photo gives 2 views of same holster.